Every few months, League of Legends releases a new champion. Last time it was a Cajun-style humanoid fish, Tahm Kench, who specializes as a defensive support type. 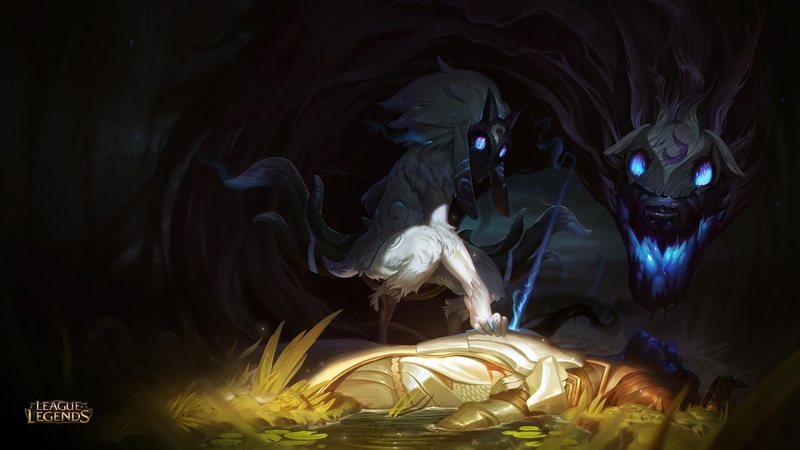 This time around, the new champion is both the wolf and the sheep, with an art style that looks like it leapt out of Ori and the Blind Forest. The new champion, Kindred, is a ranged jungler that comes with a unique passive, Mark of the Kindred. This ability has global range and marks an enemy for death. If Kindred kills or assists in the kill of an enemy it gets a permanent damage buff. The rest of Kindred's abilities are a remix of what we've seen from other champions, with a slight twist. For example, Mounting Dread slows an enemy, and if you hit them three times, they lose a percentage of their max health. Kindred's ultimate is also oddly familiar to Bard's. While Bard's ultimate freezes (effectively stopping allies and enemies from dying for a time) from anyone in the target area, Kindred's stops enemies and allies alike from receiving fatal damage for a time while in the area of effect. In addition, when Kindred's ultimate ends, it will heal for a small amount. Between Kindred's art style and mix of abilities, League of Legends will be adding an interesting new jungler. Will you be hunting in the jungle as the kindred spirits?